To provide teaching and research training at postgraduate level in the theological context of the biblical literature. Minimum 2:1 honours degrees in theology, religious studies, or other related disciplines, or other relevant qualifications and experience. - Interdisciplinary approach to biblical interpretation, providing familiarity with a wide variety of approaches to the Bible within (primarily) the Christian tradition. 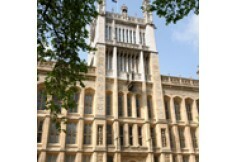 - Unrivalled holdings of the Maughan Library, the Foyle special collections, and the newly acquired Sion College Library. 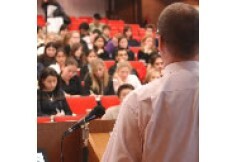 - Regular seminars with papers given by nationally and internationally renowned speakers, give students insights and up-to-the-minute knowledge of the subject area. This MA offers an interdisciplinary approach to biblical interpretation; teaching in the theory and practice of biblical hermeneutics; instruction in the methodology and content of Christian theology with particular attention to the importance of the biblical literature in the development of Christian doctrine. You will undertake a range of individual module options and pursue in-depth study through a research dissertation to be supervised by a member of staff.